Providing Exceptional Service to Northeastern Pennsylvania, Hudson Valley New York, and Northern New Jersey. Whether you dry clean weekly, monthly, or just once in a while, you can enjoy the convenience of MobilePRO Cleaners home delivery. You do not need to be home to take advantage of our service. Most items are returned within 2 or 3 days. Quicker turnaround is available in certain markets upon request. If you have special requests, just leave a note inside the bag for our customer service representatives. For your convenience, we will charge your credit card on file, and mail or email you a monthly billing statement that shows all your charges. If you choose to use our app, your account details will be at your fingertips 24/7. We can also set up a monthly charge account, and bill before delivery, bi-monthly, or at the end of each month. However, we will still need your credit card information as a security deposit. No charges will be charged to your credit card as long as a payment follows the bill. Don't want to have a credit card on file? We also accept cash, check, and credit card at time of delivery. Whatever your payment preference, we make it our goal to accommodate. All orders will be delivered and picked up at a designated weather-sheltered location. 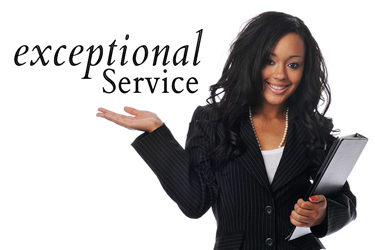 Just complete the Schedule a Pick-Up request form or call us at 800-930-5954 to start your service. Already have a MobilePRO Account? If you already have an account with us you can save time by requesting pick-up and tracking your dry cleaning service on our website or on your smartphone. Have a wedding gown you are looking to have cleaned and preserved? Just use our Wedding Gown Cleaning and Preservation Estimator to secure an estimate. If you have a special request on your pick-up, be sure and fill the appropriate form and include it with your items to be cleaned (don't worry, they are real easy to fill out).